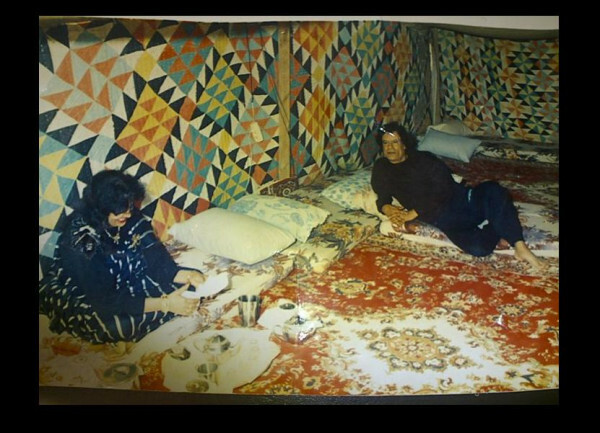 Safiya and Muammar in better days - or maybe now - hiding out in desert? 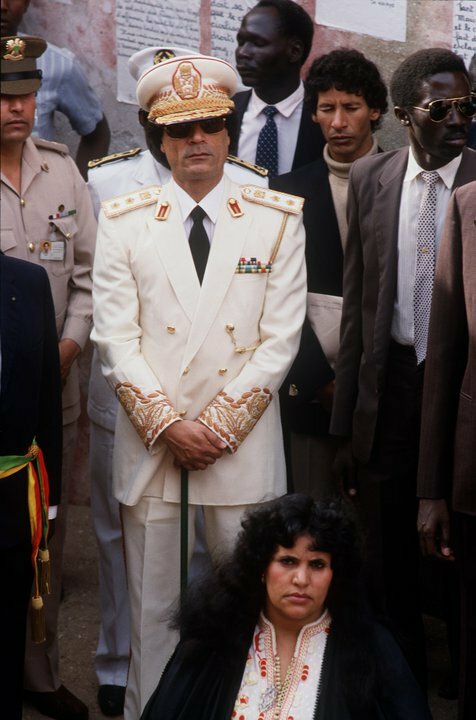 This is not a good time to be a member of the Gaddafi family. The father, Muammar, named as “acting Head of State,” by the ICC (International Criminal Court) is officially wanted for crimes against humanity. He’s now an alleged war criminal with an ICC arrest warrant calling for his capture and delivery to the Hague to stand trial for ordering the deaths of civilians of his own country. Nice guy. It gets better. His next-eldest son, Saif al-Islam, supposedly holds no official position in the Gaddafi government, but the ICC named him as de facto Prime Minister and issued a warrant for his arrest today as well. Same charges – crimes against humanity – an alleged war criminal like his father. The third arrest warrant was issued for Saif’s uncle, Abdullah al-Senussi, Gaddafi’s brother-in-law – yet another probable war criminal in the family. Al-Senussi was named by the ICC as the Head of Military Intelligence. Has there been a family group like this since the Medici’s? The UN Security Council finally stepped up to the plate and slapped a travel ban on Gaddafi’s wife Safiya, as well as ordering any of her foreign assets seized. It’s rumored she has billions in gold, but who knows? For sure, she is a very rich lady in her own right. I always wondered why Safiya wasn’t included on the original UNSC travel ban list back in February. Poor Safiya – no moreÂ extravagantÂ shopping trips to Vienna. Wonder if she’ll call CNN again to complain? 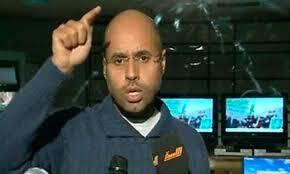 It’s 100% sure that Gaddafi, his son Saif al-Islam, and brother-in-law al-Senussi are in Libya. But there is much speculation about the whereabouts of wife Safiya – and only daughter, Aisha. Rumors have the ladies in Belarus or Poland, or in cities such as Vienna and Tunis. There was even a twitter rumor that had Safiya andAisha with family in a luxury resort hotel in Marrakech. Now that Tunisia has recently signed on to the ICC agreement, the Gaddafis no longer have that exit available to them. According the the ICC, they should be apprehended at the border if attempting to cross. There are many countries in the world that do not participate in the ICC justice system, so theoretically, the Gaddafis could still make an escape to say, Zimbabwe Â – or even China. but one things for sure – the world just got a whole lot smaller for them.